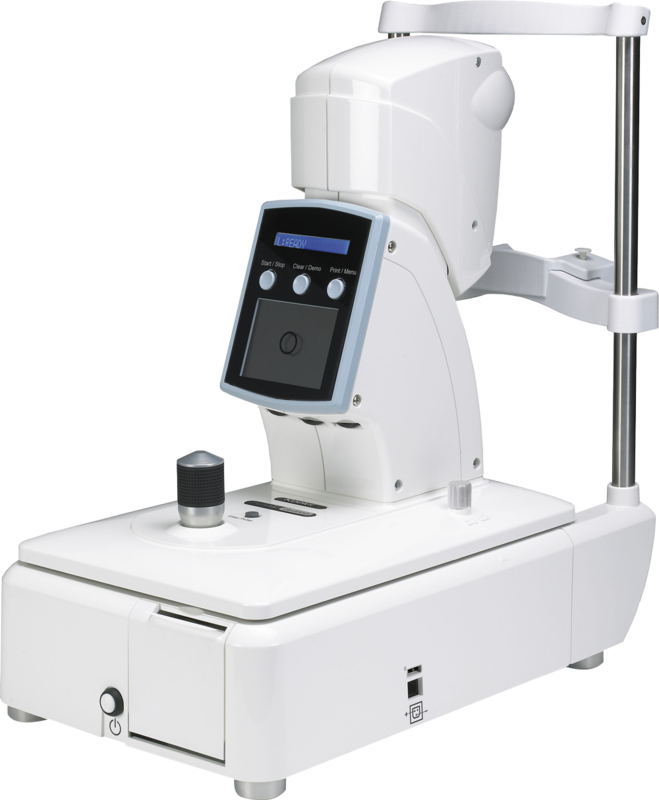 Keeler Pulsair Desktop Non Contact Tonometer. The Pulsair Desktop has a small and space saving footprint that combined with the elegant, slim optical mainframe allows it to blend seamlessly into the clinical environment. The openness of the design increases the confidence of both patient and clinician. Less is more. Pulsair Desktop is uncomplicated and therefore quick to use for the novice and professional alike. Taking control of tonometry has never been easier or faster. Clear user controls and a colour video alignment screen combine to set a new standard in usability. Keeler Pulsair tonometers use advanced optical and sensor technology for positional detection and puff control. Pulsair Desktop and Pulsair intelliPuff have software controls to manage the measurement data; if two consecutive readings are within +/- 1mmHg of each other the Pulsair will inform the user that sufficient readings may have been taken for that eye, saving precious time and increasing patient comfort.